Discover today a little guide to use the various content of the Lost Tales of Axeoth in your own maps. 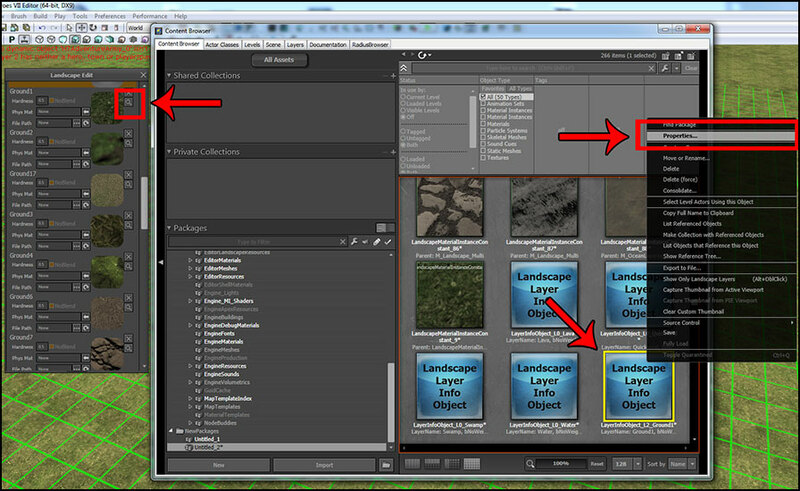 Unreal Mode to have access to the advanced features of the map editor. Content Browser (Ctrl + Shift + F). 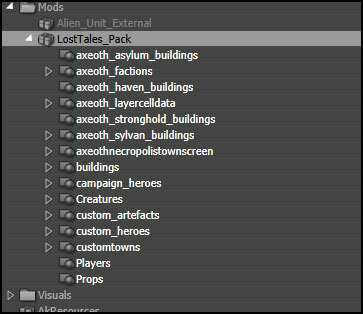 LostTales_Pack folder, located under Mods. 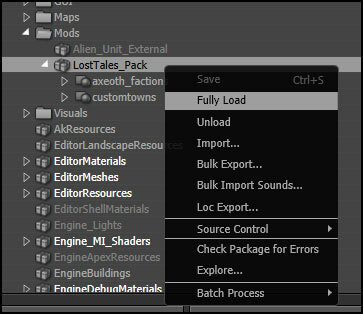 Right-click on LostTales_Pack and select Fully Load. Axeoth_factions: you can assign these to players and heroes, if you want them to have custom icons and faction names (for instance Preserve instead of Sylvan with the Tree of Nature icon). Buildings: a number of new / variant buildings you can use on the adventure map. Campaign_heroes: the unique characters of the Lost Tales of Axeoth. Feel free to use them in your own adventures. Custom_artefacts: a selection of new artefacts from Heroes IV and its expansion packs. Custom_heroes: More than 80 new Hall Heroes. We explain how to add them to your map’s Hall of Heroes below. Customtowns: Some variants of the usual Heroes VII towns, with slightly different town trees and lineups. 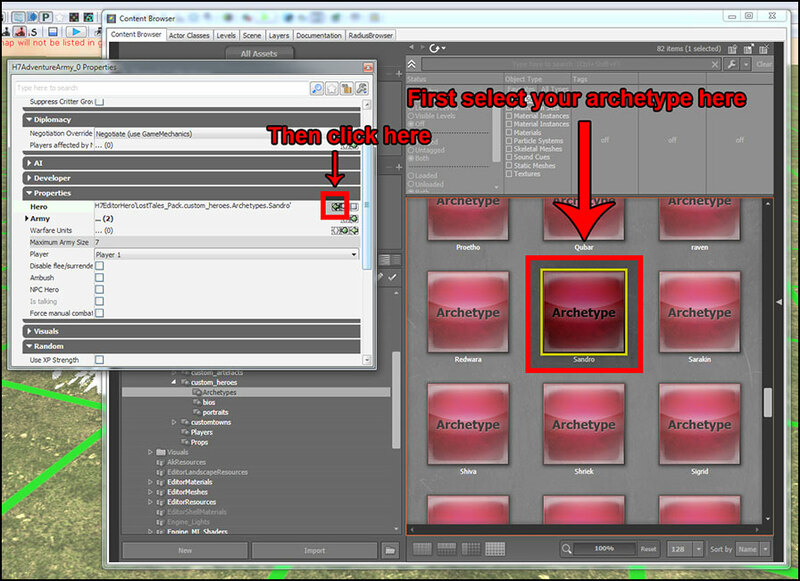 In general, you only need to drag and drop the Archetypes on your map to use them. In the case of heroes, creatures, and artefacts however, you’ll sometimes have to first place one of the regular H7 heroes on the map, and then open its properties in the Unreal Editor. Find the Hero, Creature or Artifacts field, select the new archetype you want to replace them with in the content browser, and then click on the small green arrow to use it. 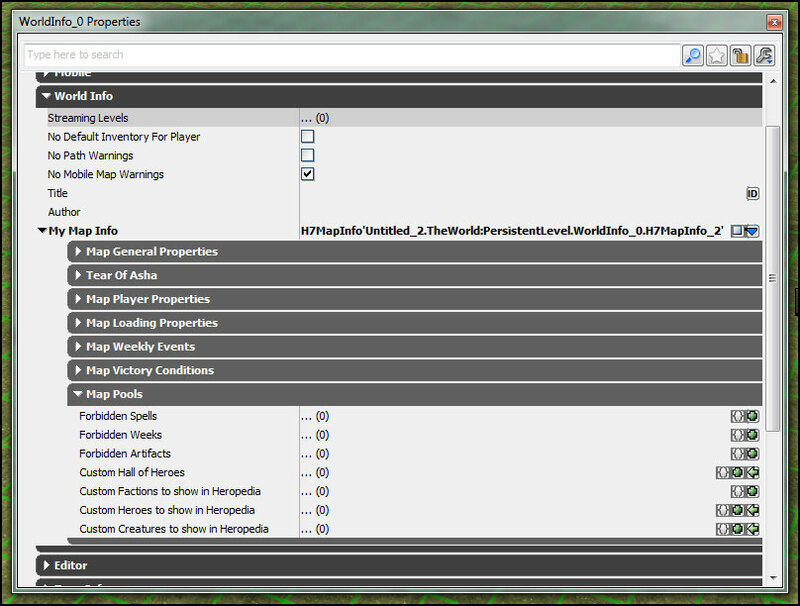 View, and then World Properties. Here you can customize which Spells, Weeks, Artefacts and Heroes are available in the map in the various random spots. 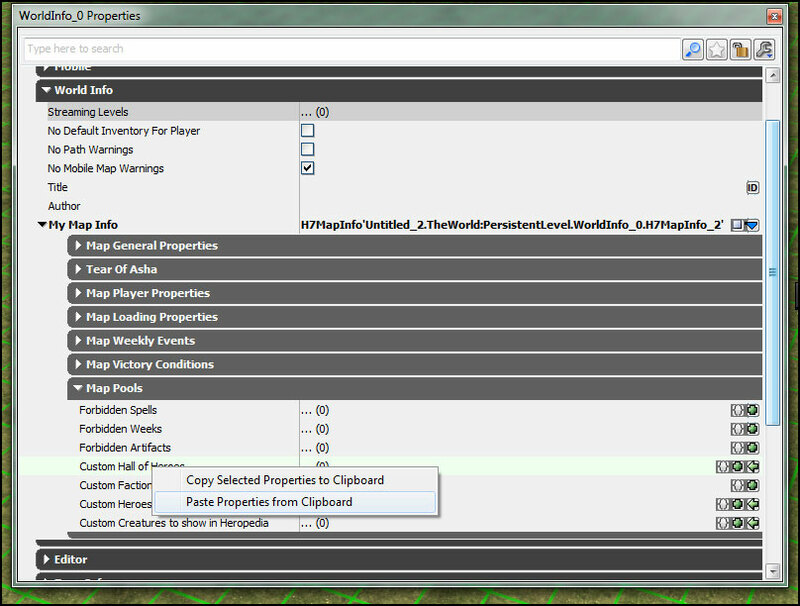 Custom Hall of Heroes and select Paste Properties from Clipboard. Presto! 80 items are now added to your map’s Hall of Heroes. You can now add or remove some of them to fit your needs. The other advantage of doing that is that all these Heroes will now also appear in the Hero Tab of the Heroes VII editor. 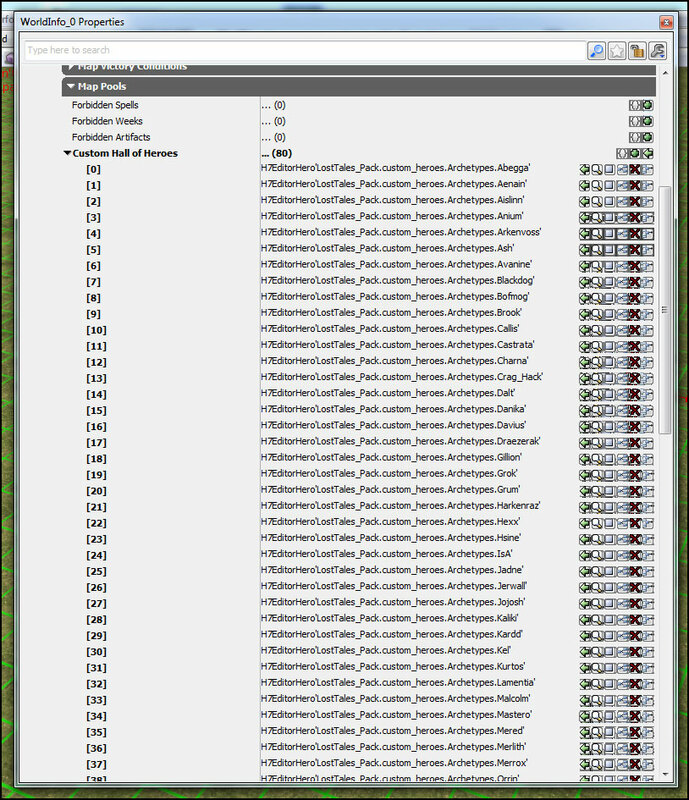 In Heroes VII, each terrain type is tied to a specific music file. 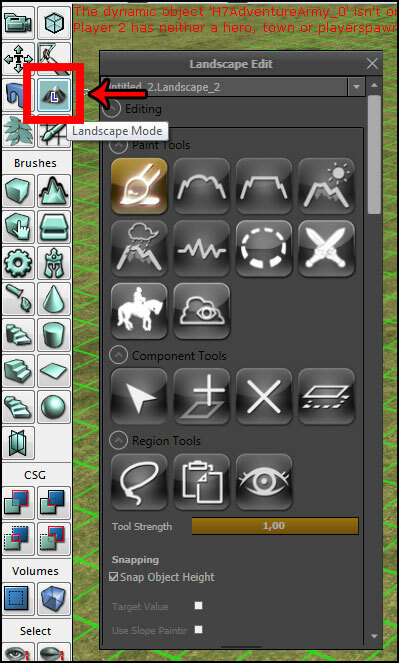 magnifying glass icon next to the texture preview. Browser. 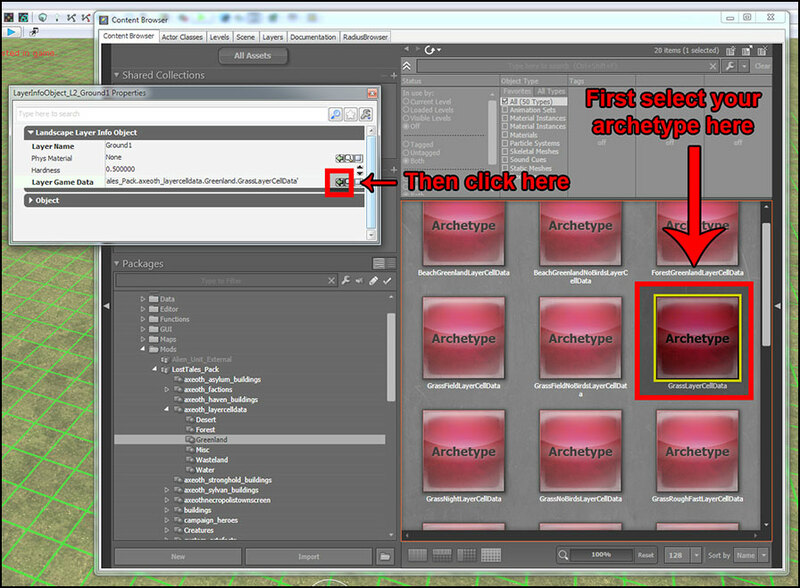 Right-click on that item and open its Properties. Full package including:Hall of Heroes, Forbidden Artifacts, Forbidden Heroes, Forbidden Spells and Forbidden Weeks.